If the Arccos Caddie app can solve the mystery of the golf game with big data, perhaps big data can solve other world problems, too. That's why Microsoft featured this app at Build 2017, to show off the data-crunching powers of its Azure cloud service. 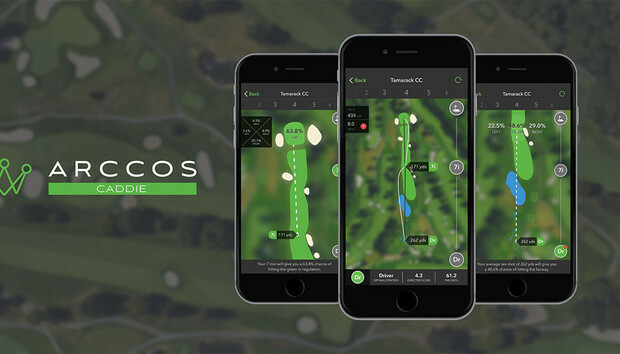 Caddie uses an existing family of Arccos 360 hardware sensors that players attach to their clubs. In fact, you’ll need to have played five rounds within the Arccos 360 framework for it to learn how you’ll respond in a given situation, and provide an accurate prediction. It isn’t cheap: The Arccos 360 system costs $250, and the Caddie app (for Android and iOS) will only be available as part of a subscription. (The price for the subscription hasn’t been released.) The idea though, is that the Caddie delivers “actionable insights” in real time about what to do on the course. The Caddie app can even predict the odds of which quadrant of the green your approach shot will end up in. At its Build developer conference, Microsoft is expected to talk about the “intelligent cloud,” the next phase in the evolution of its “mobile first, cloud first” strategy. An intelligent cloud collects data from devices at the “edge” of the network—your smarthphone, for example—to sift for an answer. Microsoft’s Azure cloud is the Arccos partner, and the company has already stored 61 million shots in its database to confirm it’s making the correct analysis. Why this matters: Sure, this costs a fortune, if you buy all the sensors and subscribe to the service. But there’s a real wealth of data at work here. If this technology works as advertised—seriously, watch the YouTube video—this could be the app to have at the country club. The only thing it can’t do is carry your clubs.